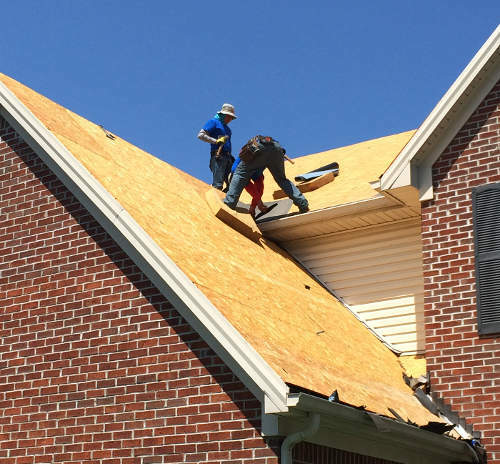 We are proud to provide quality workmanship as a roofing contractor in Frankfort, KY.
Our commitment is to provide customer satisfaction with all of our services. Whether you need a new installation or repair to your shingles, we promise to provide the experience you deserve. Need a more specialized type of service? We also offer replacement contracting through our claim assistance if you’ve been impacted by storm damages. Want to make sure everything is in working order? As certified HAAG & InterNACHI inspectors, we can thoroughly evaluate your roof to ensure it’s in proper working condition. After damage from a thunderstorm to my roof and a room inside, we began looking for contractors. We called and the rep responded quickly, meeting with us, looking at the damage and working with the insurance adjuster. The rep made sure he was here when the insurance adjuster arrived and went up on the roof with him. Once we had a contract, we were extremely pleased with the way the job was handled. The workers showed up when scheduled, finished the job quickly and a manager was on hand for the job to keep us informed and to make sure things went smoothly. In 2 days, we had a new roof and all repairs done inside the house. We strongly recommend using this company for any contracting job. The people were courteous, extremely reliable and a pleasure to work with. 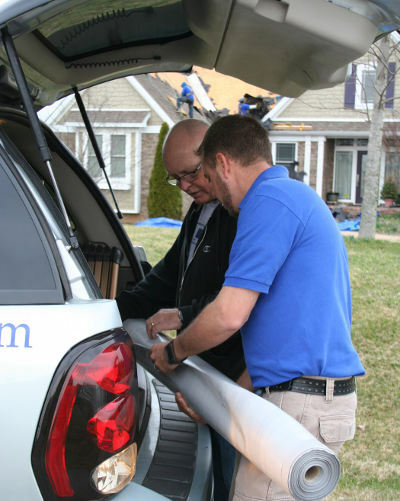 It’s no secret that there are many great roofers in Frankfort. Although we feel that healthy competition is a good thing, it’s the experience you’ll have with us that sets us apart. You can expect a more personalized experience with us. From the initial consultation, to the first nail and down to the last shingle being installed, you’ll feel the difference. Upon our initial introduction, our first step is to evaluate the exterior of your home. This includes the roof, shingles, flashing, ventilation system, gutters, soffits and siding. This helps us determine what repairs your roof will require. We educate you on all your roofing material options. Based on your roofing needs, we provide you with a resourceful inventory of all available products and materials. This includes color selection, warranty options, quality comparison and preventative materials that will better protect your roof. We provide you with a thorough understanding of how we approach your job. You’ll know what to expect regarding the first step we take down to the last. This eliminates the uncertainties and provides you as our client with a clear direction of our procedures. We have a production manager that oversees each roofing project we take on. This is considered a normal practice for us to ensure that our clients get the best possible service. We are there to answer any and all questions as well as to deliver the best quality installation. 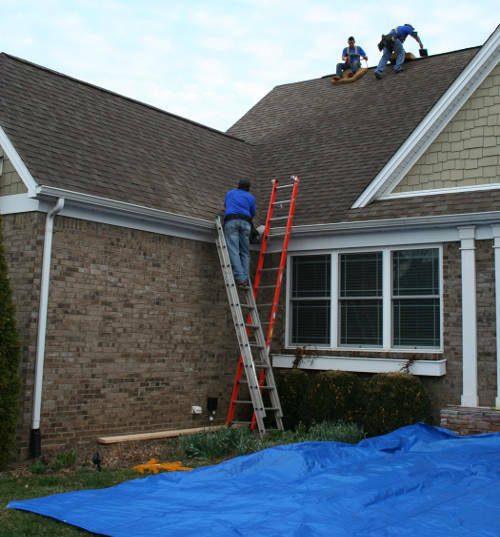 In general, the majority of our roof repairs and installations can be completed in one day. We measure every precautionary step of our procedures to efficiently complete your project on time. We keep your roofing job organized and clean. We treat each job as if it were our own home. You can rest assured that during our work provided that your home will be respected. Prior to starting we stay organized with proper waste disposal outlets to keep all trash, nails, shingles and other discarded materials from trashing up your home. 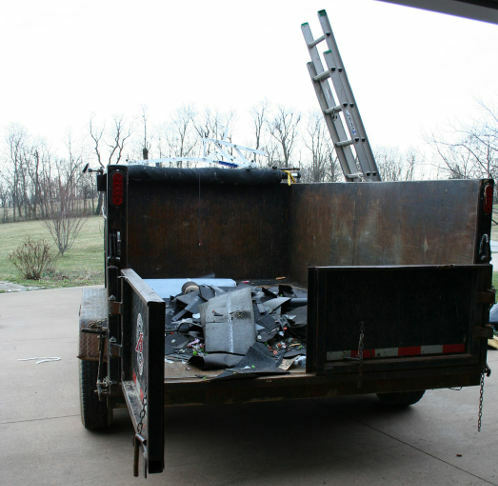 Preventative measures are always taken to keep your property free from debris. They say that quality is measured by the customer’s satisfaction. It’s our goal to ensure that each of our clients are satisfied. We want you to consider us as the best roofing company in Frankfort, KY.
With an A+ Better Business Bureau rating our commitment is to continue our focus on delivering quality roofing services that are backed by our client’s satisfaction. Contact us for your next installation or repair.